Hi my name David Clifton, I am trying to find which mine my great grandparent, Charles Clifton, worked in. He was born in 1841, in the 1881 census he was a coal miner, address 34 Bunkers Hill, Allerton. His father was, what I found out was an Engine Jenter or Tenter miner, what was that? I would love to know because living in Western Australia it is hard to find information about it. 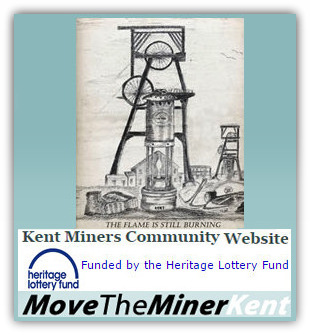 A Tenter man operated the winder which was used to lower the men and equipment down the shaft and back up again at the end of the shift, he would also bring the coal out of the pit. David Clifton.......In reply to your request. Mining around Allerton in 1881. 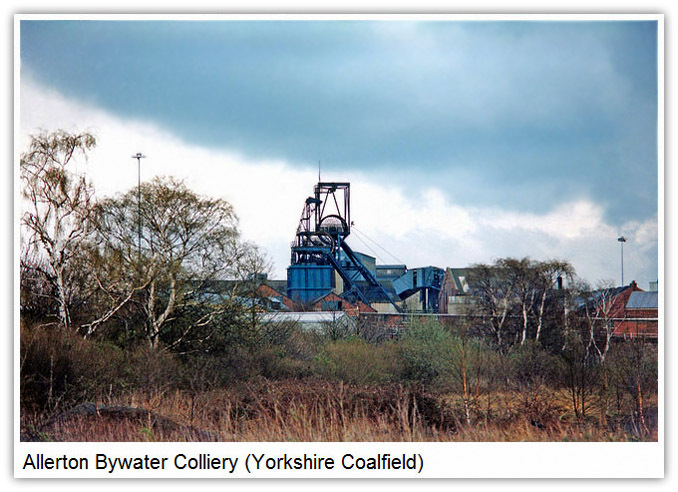 Allerton Bywater colliery, near Leeds, was sunk in 1875 and closed in 1992. It is more than likely the mine you are looking for. Hi, I've been looking at your coal mining website. It's a great website and a great source of information! I have a query about the closure page that I hope you can help me with? The closures by each prime minister, Tony Blair is listed as having closed 2 mines, is this figure correct as I can think of several that closed mostly in Nottinghamshire and the Midlands. Or is there another reason why the figure is so low? I wonder if you have the resources to give me any information on a Robert Bircumshaw Barker who according to my records moved himself and his family to Kent circa 1919 on the opening of the Coal Fields down South. I know that in the 1911 Census he was a Colliery Under-Manager in Notts, and that he was born in Cutthorpe, Derbyshire. My Mother always amazed me with tales of the twisted Spire at Chesterfield when I was a lad. Any help would be greatly appreciated. In 1911, 45 year old Robert Bircumshaw Barker, born Cutthorpe, Derbyshire about 1866, lived at 20 Bainbridge Terrace, Stanton Hill, Mansfield with his family. Robert was a Colliery Undermanager at Sutton Colliery. His wife Mary was 43, his sons Samuel, 23 and Benjamin 19 worked down the pit, Samuel was a platelayer and Benjamin a miner roadman. Robert and Mary also had 3 daughters Mary, 16, who helped at home, Olivia, 14 a dressmaker and Fanny, 12 who was still at school. I thought you may wish to feature a piece on this project which would be of great interest to your readership. Here are some details, Exhibition opens in January. 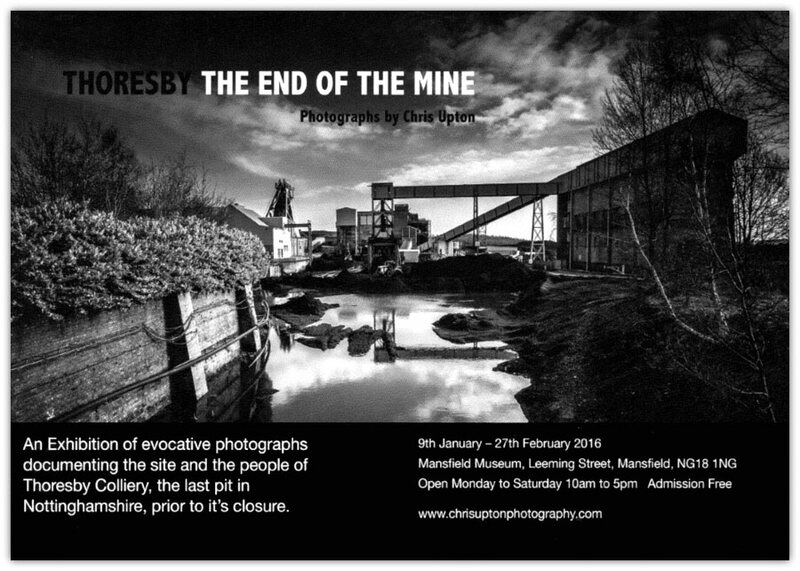 I am a photographer from Southwell, Nottinghamshire and have, over the last year, been photographing Thoresby Colliery, the site, buildings and people, prior to it's closure in July. The project developed from what I thought would be a couple of visits into a major piece of work. As the last pit in Nottinghamshire this body of images now represents a valuable archive of an important part of our social history and as such I wanted to share it with as wide an audience as possible. To that end I am delighted to announce the details for a book launch and an exhibition. The limited edition book, 33 x 24cm, contains 138 pages and over 200 evocative black and white images. Softback and printed on quality paper, the book provides an enduring record of Thoresby in it's final days and would be appreciated by anyone associated with Thoresby or mining in Nottinghamshire. Sunday December 6th from 11am – 1pm. It's a great opportunity to browse through the book and perhaps buy yourself, or someone else, an early Christmas present! My question is, does the (?) indicate the possibility that the name may be wrong or just a lack of information regarding his age? I have located a record of Herbert’s death recorded at Market Bosworth Q2 1961 aged 56 which seems to correspond to this accident and the information that my mother has provided. Unfortunately my geographical knowledge of the area is limited as I was a young child (just turned six) when my family emigrated to Canada. I cross-reference locations using Google Maps and my atlas to confirm vicinity. My grandmother died in 1963 so information is limited to a few photographs and my mother’s memories. I am hoping that you may be able to provide clarification of this information and possibly some advice regarding other sources of information that I may be able to pursue. Thank you in advance for any assistance you may be able to provide. I hope that you may be able to help in regard to your highly recommended talk on St Pancras station. The recommendation came from someone who has attended your talk. I obtained your contact details from Bromley House Library, a wonderful place where we took a party of our members for a visit earlier this year. Each year we hold a series of talks that act as fundraisers to help us maintain the mills and gradually renovate them. We are currently working on our 2016 series of talks and our theme is Derbyshire industries. Having come across your site I wonder if you would be able to assist in pointing me in the direction of a speaker who could provide a talk for us on the history of the Derbyshire coalfields. Our talks are held on the second Thursday of the month, starting at 7pm and usually last for an hour to an hour and a half. We run the talks from March through to November, missing out July and August due to the holiday season. We have all the usual audio visual equipment available.